A nightmarish journey of fear, hate and death. Released May 25, 2018. Order now at all bookstores and the links below. Tom and his cousin, Will, search for lost shaker gold he believes can help him escape his town and memories. But leaving has consequences. He will lose his friends and his new love. On a fiery staircase Tom finally realizes that he must face his inner demons and his horrific nightmares. To do so he must take a stand that could change his life...or end it. Author Ben Woodard relies on firsthand experience and family history to tell this moving story of personal tragedy and racial hatred set in the rolling countryside of Kentucky in 1923. 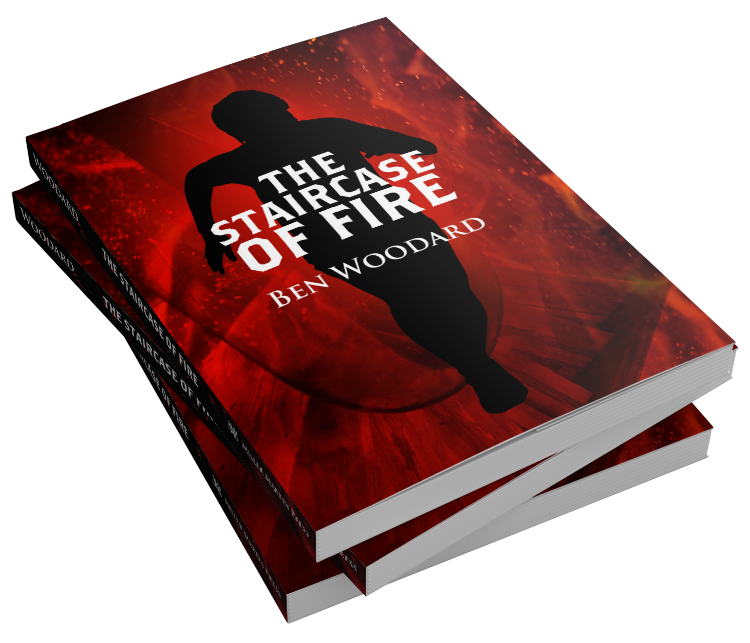 BEN WOODARD is the author of eight children’s and teen books. He lives in Lexington, Kentucky.